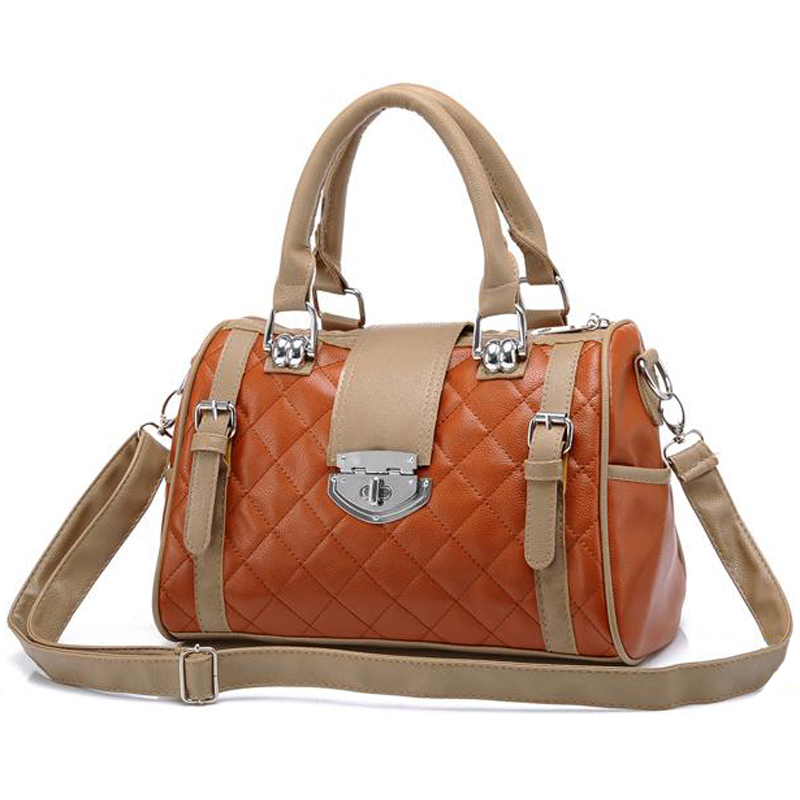 Classic barrel satchel shape with warm, subtle browns classic diamond pattern or cream beige with hearts embroidered. 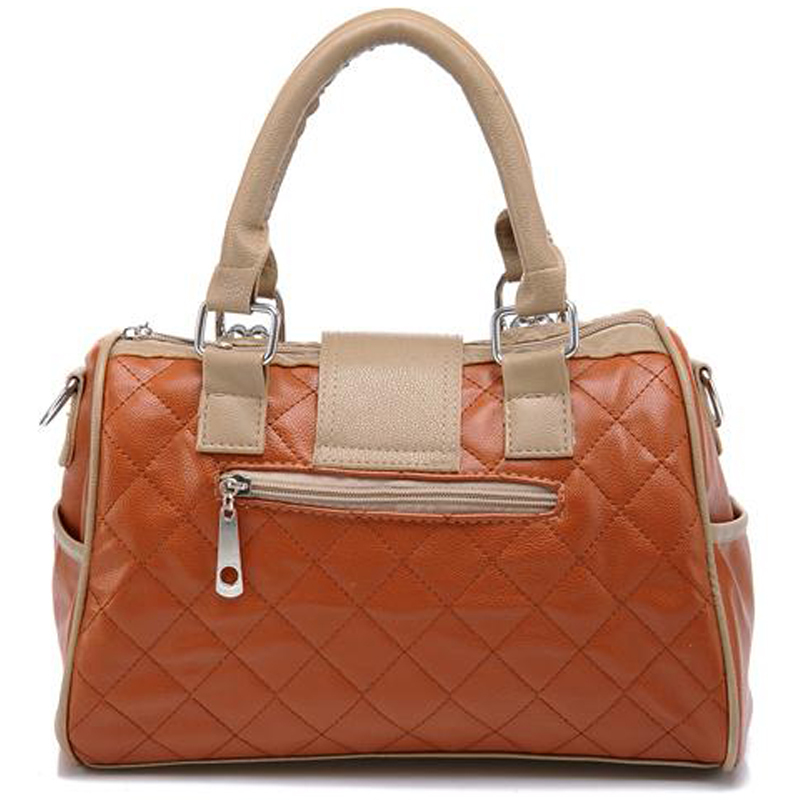 Multiple interior and exterior pockets to carry daily necessities. Choose from warm, subtle browns classic diamond pattern or cream beige with hearts embroidered and the decor belts on this satchel work in perfect harmony with the hardware to create a timeless style that will complement any outfit. Inside the tote bag, you'll find plenty of room for your daily essentials, as well as 2 top open pockets and 1 zipper pocket to keep your possessions in place, while the combined protection of a zippered top closure and a turn-lock flap closure ensure that your valuables stay safely inside. Meanwhile, 2 side pockets offer easy access your cell phone or daily essentials. If hands-free is more your style, just clip on the detachable and adjustable shoulder strap with a maximum 23" shoulder drop, and you and your shopper hobo bag are ready for whatever the day may bring.